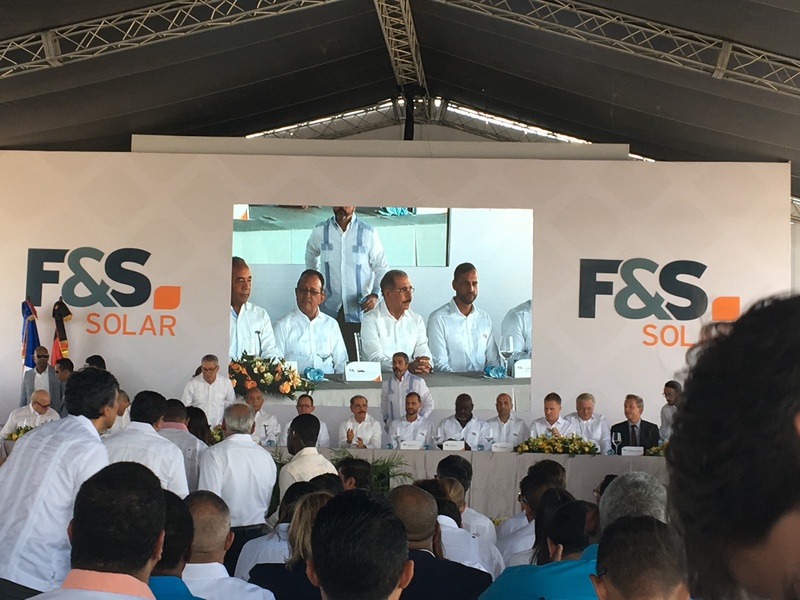 Important visitor: Numerous guests attended the official opening of the Caribbean’s largest PV farm with the President of the Dominican Republic, Danilo Medina Sanchez (centre of the picture), chief among them. The energy from the PV farm is fed into the grid through a new electrical substation built specifically for the farm. In terms of power consumption, there is a Power Purchase Agreement (PPA) — a power supply contract stipulating that power will be supplied to the state utility company at a fixed price for the next 20 years. Incidentally, this price is already below the present market price for electricity today. There are already numerous small and sizeable PV systems in the country, which has a population of just over eleven million people. 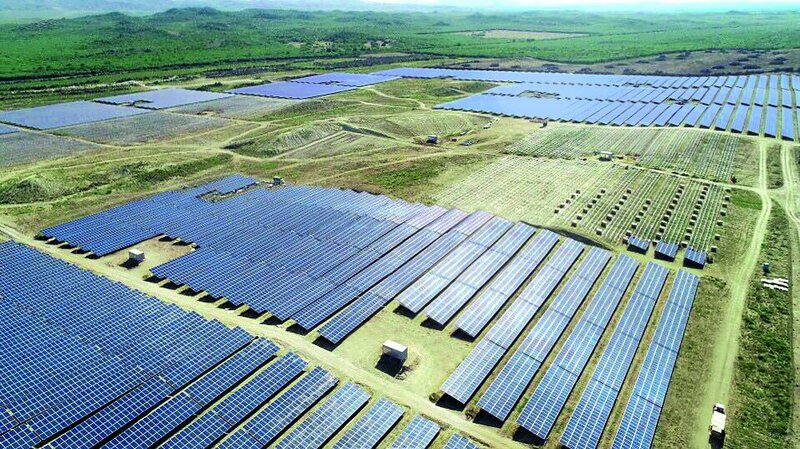 But the Montecristi PV farm is by far the largest project implemented there — with 58 MW of power. The company F&S Solar built the first phase of the two-part project within six months. The second phase of the PV farm is to be completed by 2019 and will be just as big as the first. 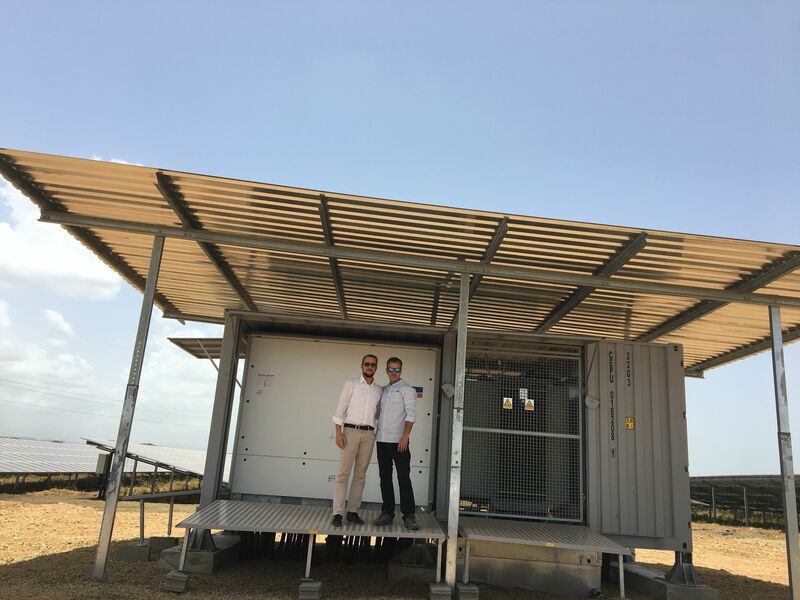 Patrick Thomas from SMA and Uwe Czypiorski, technical managing director of F&S Solar, in front of one of the 23 Medium-Voltage Power Stations at the Montecristi PV power plant. 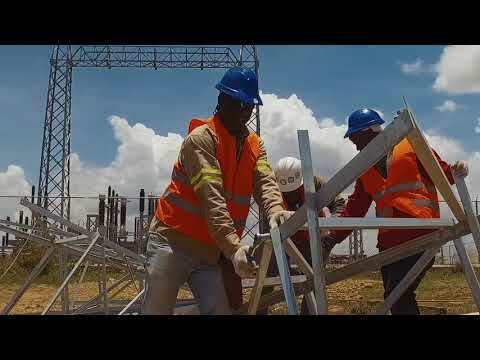 In the remote region of Montecristi in the north-west of the country on the border with Haiti, a total of 23 2200SC Medium-Voltage Power Stations covering an area roughly the size of 280 football pitches have been used up to now. 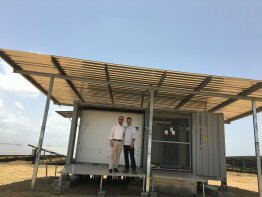 The turnkey containers, including Sunny Central inverters and tailored medium-voltage components, were delivered to the region located on the border with Haiti by boat and truck. One advantage of the container solution is that it can be quickly put into operation thanks to the perfectly coordinated components and is ready to use straight away. 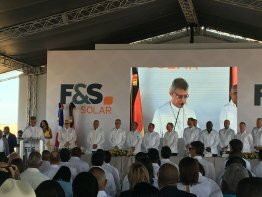 The Bishop of the Diocese of Mao-Montecristi, Diómedes Espinal de León, blessed the PV power plant. The PV power plant is situated in a valley surrounded by high mountains and is therefore well protected from the hurricanes that frequently occur in the Dominican Republic. Another advantage for reliable and safe solar power generation is monitoring at string level that F&S Solar also implemented in the Dominican Republic based on its experience with PV power plants in Germany. Since each individual string in the module field can be monitored, errors or failures can be discovered and their causes fixed much more quickly than with the otherwise widely used, conventional zone monitoring. Here, larger sections are monitored and, in the event of an error, a lot of time and effort must be given to identifying the precise cause (a defective string, etc.). F&S Solar is not only the EPC contractor for the showcase project, but is also on board as an investor (35%). Hamburg-based Blue Elephant Energy AG (BEE) is investing the majority of the equity (65%). Debt financing was provided via European development banks, managed by DEG from Cologne, a wholly owned subsidiary of the KfW banking group. In addition, DEG checked and supervised the course of the entire project in accordance with ecological and social standards of the World Bank. With a total investment volume of USD 87 million, the project is among the leading German investments in the Caribbean.